In Google Analytics, there is an order to everything. I learned this the hard way. In the past, the PPC Hero team has shared with our readers some unfortunate side-effects that can happen when you combine destination URLs, tracking parameters and 301 redirects. In Google Analytics, there is an order to everything. I learned this the hard way. In the past, the PPC Hero team has shared with our readers some unfortunate side-effects that can happen when you combine destination URLs, tracking parameters and 301 redirects. Today I am going to shed more light on this subject and hopefully prevent someone from making the same mistake in the future. If you would like some more information on tagging, check out the Guide to URL Tagging in Google Analytics. I recently began working with a client that uses fairly complex tracking systems to monitor the profitability of their pay-per-click business. 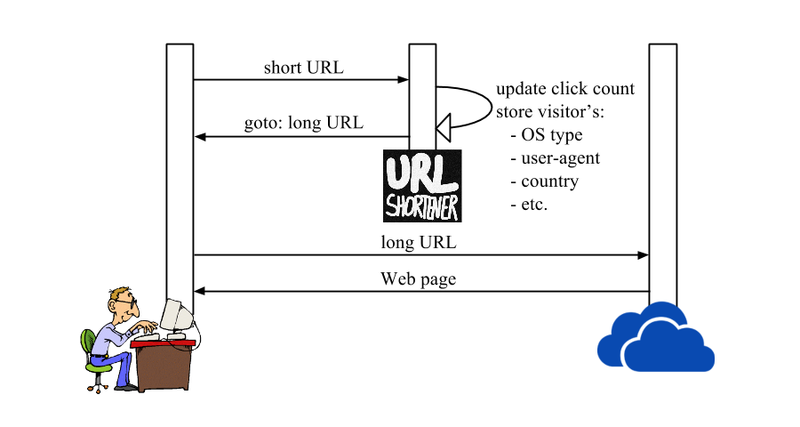 Part of this tracking system required me to setup tracking URLs at the keyword level to monitor both online and pay-per-click call performance. Thanks to autotagging in Google using the gclid parameter, I only had to append the call tracking URL (i.e. ?param=a&param2=b) in AdWords. Bing has introduced autotagging, which should allow for the same process to be followed for that platform. 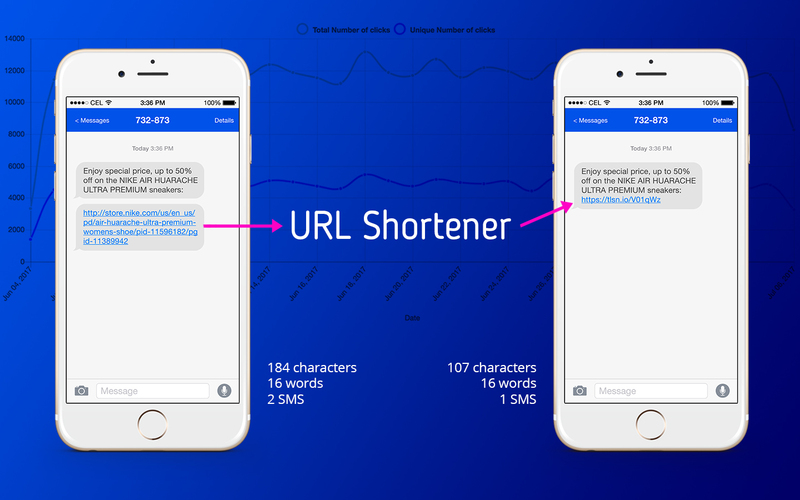 In Yahoo Gemini, I was required to combine the call tracking URL with the &utm=source parameter. Thus, the source of my pay-per-click tracking issue. As the month continued, our cost-per-sale continued to rise, and we were not seeing sales attributed to our ads. Sales from the PPC campaign were attributed to organic and/or direct, which was really hurting our bottom line. So, I needed to resolve this issue, fast! SEO can be broken down into a couple of main categories: Content, Architecture, and Links. I think most people understand the importance of building content and getting links, but there are a lot of larger and poorly built sites that struggle with some fundamental problems their URL structure. This can lead to a lot of problems, including many duplicate content issues. Here are three of the most common URL problems that I have seen on different websites. If your site has one or more of these problems, take a look at these solutions and get them fixed as soon as possible. 301 redirects can often strip your URL tracking, and categorize PPC traffic into organic or direct. This includes the gclid tracking code for AdWords and the &utm=source tracking parameter for other search engines. It is easy to find if this is your issue. To test the gclid, enter the destination URL into your browser with the following appended at the end: www.yoursitehere.com/?gclid=test. The gclid should remain at the end of the URL when the page loads. If it disappears, then you are losing your tracking info. Solution: Update the destination URLs in your pay-per-click accounts so they point directly to the final destination. If you are pointing your pay-per-click ads to a redirected URL, then your tracking may be stripped in the redirect. Solution: Ask your website developer to configure your server to pass the gclid and all other tracking parameters. Under this structure, the call tracking parameters were effectively stripping the &utm=source in Google Analytics. So similar to the case of 301 redirects, my PPC traffic was counted as organic and direct. If you are still having problems tracking 3rd party campaigns in Google Analytics, then your issue may lie with the &utm=source tracking parameter setup using the Google URL Builder. If you do not properly format this tag, then Google Analytics will not record traffic properly. Solution: Take a closer look at your &utm=source parameters to confirm everything is correct. Check out How to Troubleshoot When Tracking 3rd Party PPC through Google Analytics for a more detailed review of the problem. If your site has a non-www and www version of all your URLs, you're going to be splitting link value for the same content between two URLs. Rather than capturing 100% of the link value on the page you want to rank in the search results, you could be doing a 50/50, 60/40, or some other kind of split between the two URLs. Set up a 301 redirect so that any links to your non-preferred URL style will go to the right style. This way you don't waste link value by splitting it between two URLs. This is a close cousin to Problem #1, but is especially bad because it's your home page. These URLs will all lead to the same content. If you have links going to all four of them you will see a four-way split in link value. There are a lot of sites out there that have fixed their non-www and www problems, but I can still find multiple versions of their home page. I've even come across sites with different extensions (.php, .html, .htm, etc.) that bring up the same page as well. This leads to even more duplication and potentially wasted link value. This is a fun one that a lot of not-so-SEO-friendly shopping cart programs run into. Once you start including all sorts of variables and parameters in your URLs, the opportunities for duplicate content and wasted link value are endless. Now what if I start rearranging the parameters? Well, they'll still show the same content. So, as you might imagine, this can create a lot of wasted link value. There are other causes for the dynamic URL problem. A lot of companies use these parameter-based URLs for statistical purposes. We just want to make sure that you don't shoot yourself in the foot from an SEO perspective. This problem also happens with sites that give their affiliates a unique ID to use in their links. You could have 100 affiliates linking to the same page, but all of the URLs will be different because each affiliate has their own unique ID. If possible, make sure that your site is using SEO-friendly base URLs. 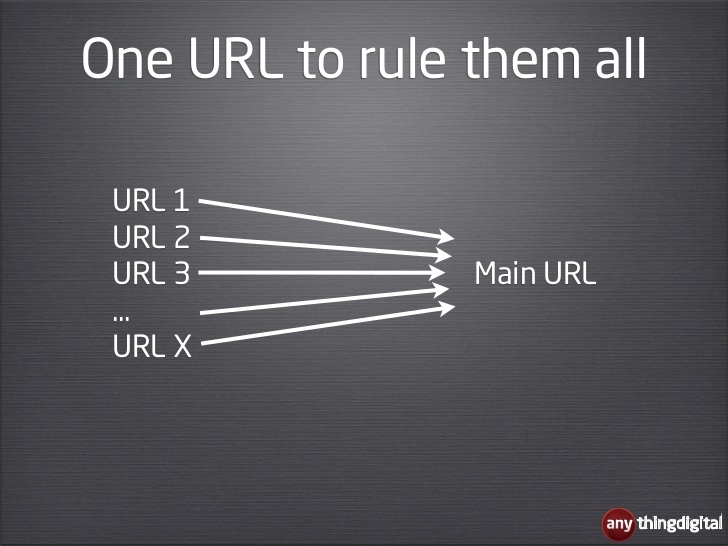 It's better to have a base URL that will lead to the content rather than a URL that relies on a parameter. For example: http://www.mysite.com/unique-product.html is much better than http://www.mysite.com/category.php?prod=123 where some generic category page is really the base URL. Set a canonical tag that tells the search engines to use the base version of the URL. That way you can still use parameter URLs like http://www.mysite.com/unique-product.html?param1=123&param2=423 to get your data, but the search engines will consider the basic version as the official one. An even better way to handle this is to capture the data on the server side and then redirect the visitor to the correct URL after you have captured your data. A lot of affiliate networks like ShareASale and CJ do it this way, and you can to. The visit basically goes like this: Visitor clicks on links with parameters -> Visitor goes to site, server records parameter data and 301 redirects them to the right landing page - >Visitor barely notices the switch because it happens fast.This way you can get all the data you need, make sure all of the link value goes to the right page, and your visitor still sees what they were after. What Problems Does Your Site Have? URL problems can come in combinations. For example, you could have a non-www and www problem along with dynamic URLs, compounding the problem. Look over your site and see if you have any of these problems. If you do, decide what fixes you can make. Once you have these structural problems fixed you'll find that your link building efforts will be much more valuable. 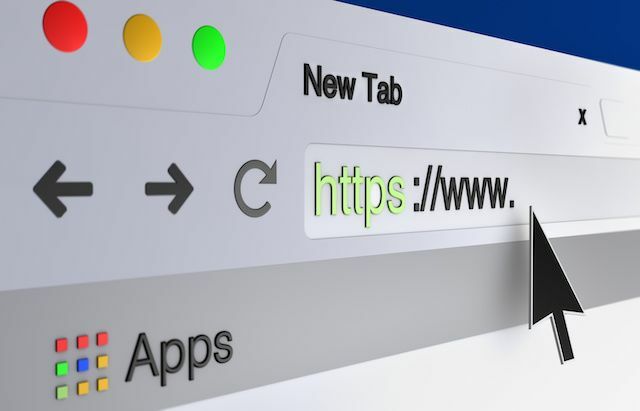 3rd party URL tagging is a great resource for tracking pay-per-click campaign performance, but you have to do it right to reap the benefits. These are all very common problems with URL tagging and thankfully the solutions are simple to implement. If you are experiencing tracking problems, use this as a resource to quickly find and resolve the problem. If this doesn't solve the problem, be sure to troubleshoot some other common Google Analytics tracking issues.